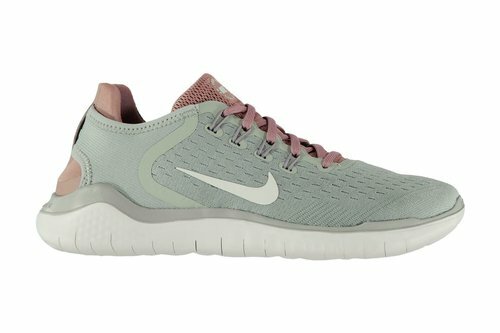 Stand out from the crowd not only in your performance but also your style when you lace up these Nike Free Run 2018 Ladies Trainers in a Green and Mauve colourway. These Nike Free Run 2018 Trainers are crafted with both lace fastening and Flywire technology to keep the foot secure at all times. They feature a padded ankle collar and cushioned insole for comfort. These trainers are designed with a Nike Free midsole and flexible sole to allow for natural movement and impact protection. The look is complete with iconic Nike Swoosh branding.